Why do people enjoy Sunday drives so much? Or, better yet, why do many ‘motoring enthusiasts’ enjoy driving at all? It seems that many people just see driving their car as a means to get from Point A to Point B in an efficient amount of time. Plus, with the innovation of public transportation and a proposed ‘Hyperloop’ for parts of the United States, it’s fair to say that fewer people seem to care about the casual enjoyment of driving around. Fortunately, in the spirit of something like a Top Gear episode about an old Porsche, HOUSE Automotive is here to pay our respects to the pure enjoyment of driving. Now, it’s difficult to enjoy driving at face value when you have a vehicle that doesn’t work. That’s why HOUSE Automotive is here to serve the Pasadena and greater northwest Los Angeles area for all of your Porsche repair needs. 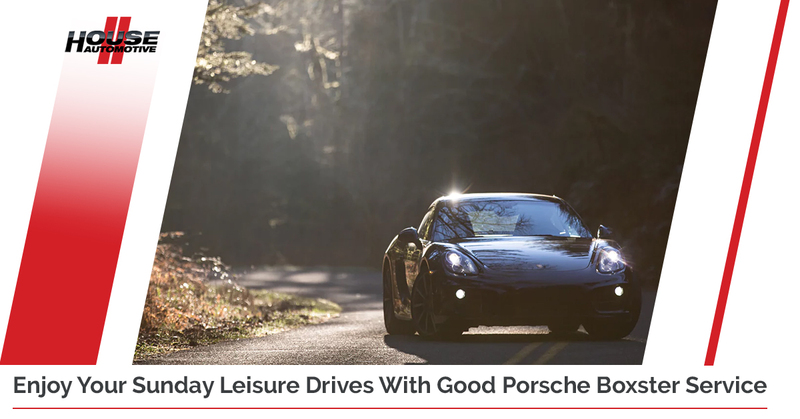 We commonly work on Porsche Boxsters in Southern California as many of our customers enjoy taking the top down and going for a nice cruise through the mountains or even next to the beach. To ensure that your Sunday drives are safe and reliable, discover more about our Porsche Boxster repair, Porsche transmission repair and other independent Porsche repair services by getting in touch with us or visiting our services page here. The concept of what the U.S. Department of Transportation has dubbed as ‘scenic byways’ has a history of its own, but traveling on these lesser-taken roads is a prime example of natural sightseeing and exploring interesting and beautiful places of our fine country. In fact, the urge to see something interesting can be traced back to ancient times – with scenic byways, it just happens to involve driving on roads. Put another way, sightseeing usually involves going somewhere via air, water or road to see something. With a scenic byway, the road is the point of the trip, not the means. Ever heard the old cliche, “It’s about the journey, not the destination”? That applies to Sunday drives, and, if anything, perfectly captures the sentiment. The Federal Highway Administration goes on to explain that the same motivation or psychological factors that prompt an interest in scenic byways also apply to seeing important or beautiful cities, major monuments, other cultures, celebrity homes, or other places where important or historical events have occurred. The ‘driving’ factor can more or less be boiled down to curiosity. Well, driving should be a focused, non-distracted experience, at least. Imagine the scenery: You, beautiful weather, your Porsche with the top down, and the open, winding road. What could be better? There’s really something to be said about the connection one feels between their car and the road as you shift gears and make those careful hairpin turns. Are you someone that gets a lot of anxiety when someone is waiting on you or when you’re running late trying to get somewhere? It’s nice to live productive lives, but wouldn’t it be refreshing if you had no particular destination or place to be at a certain time, and instead you just…drove? Maybe no one follows the speed limit because most people are always in such a rush. That’s not to say that your recently repaired Porsche from us can’t go fast, but sometimes, speed isn’t the point. HOUSE Automotive is proud to be your go-to Porsche repair experts in Pasadena and Thousand Oaks. To ensure that your Sunday leisure drives, commutes, and all types of driving trips are safe and reliable, choose us as your independent Porsche repair specialists. Questions? Get in touch with us today.